Traditional, convenient and multi-purpose. 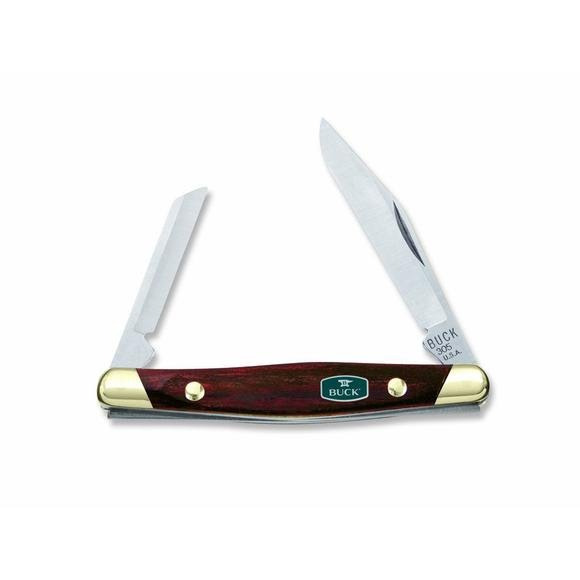 Buck Knives' 303 Cadet is designed with three convenient blades and a cherry dymondwood handle featuring Chuck Buck's signature and ComfortCraft Bolsters. Traditional, convenient and multi-purpose. Buck Knives&apos; 303 Cadet is designed with three convenient blades and a cherry dymondwood handle featuring Chuck Buck&apos;s signature and ComfortCraft Bolsters. An improved form of 420 that works well with high production tooling. Content: Carbon 0.5-0.7%, Manganese 0.35-0.9%, Chromium 13.5%.